I Found It Photo Gallery! 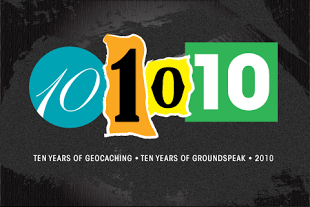 Geocaching – Gee! Oh Cash! 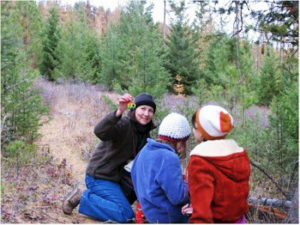 Geocaching is a fun sport that GPS users actively participate in. 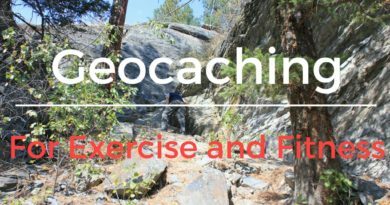 You use the internet to get the coordinates for the geocache. 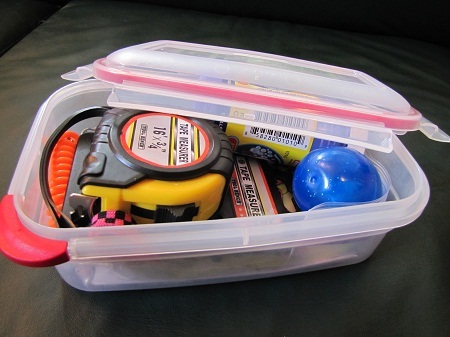 Then you use your GPS to find a container that can be anywhere from the size of a tiny nano to a 5-gallon bucket. The other day was pretty boring, so Mom thought up the great idea to go geocaching. I hooked the GPS cord to our laptop, and loaded all of the geocaches in the Lone Pine State Park area. I also loaded some coordinates for caches near Heron Park. Heron Park is a great place where you can take your dogs, ride your horse over hurdles, and sled down the big hill in winter. First, we drove over to Heron Park. I was chilly at first, but warmed up after some running. Dad announced that we were within 5 feet of the cache. 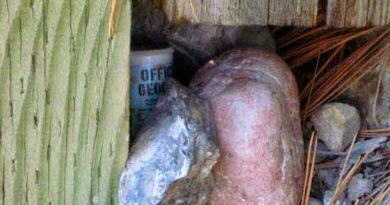 I remembered what they said online, the cache was “installed” into a log, and Y marked the spot. I saw some wood in an unnatural formation, with a Y-shaped stick on top. I uncovered the container and called my family over to the geocache. Luckily, it was a regular sized one, not a micro. 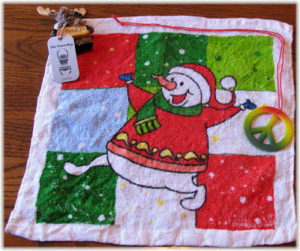 I looked through the contents and chose to take the magic towel, which enlarges when placed in water. We left a “FUN” eraser. 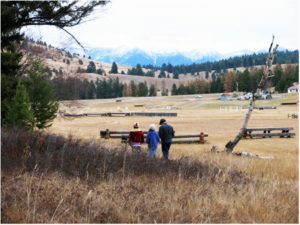 On to “Harley Meadow”, which was a dog-friendly cache. We had to climb a steep hill, and discovered a new part of Heron Park. We reached the area and began to search. I was just about ready to give up looking when Dad spotted it. He grabbed the large ammo can, and opened it up. I instantly spotted a travel bug, which is a trackable device, meant to be moved from cache to cache. I had truly been wanting to find one, so we decided to take it. We plan to give it to our geocaching relatives who are visiting for Thanksgiving. They’ll take it back to Alaska with them. M found it in a matter of seconds, even though the coordinates were just a little off. We took a peace necklace and left another eraser. M and I ran back to the car, as it was time to find the ones by Lone Pine, and nearby Foy’s Lake. It was just a short drive up the road, and we stopped at the nearest geocache. It was cold, windy, and very discouraging. We didn’t find it. Actually, Mom and Dad were really the only ones who looked. Anyway, we went on to “King of the Lake.” It was quite easy to find. It was a plastic snake with a bison tube attached to its tail, hidden by rocks. My hands froze as I signed the log book. Time to head on to the last, but not least cache. It was a little ways up the Lone Pine road. At first, I thought it was a screwdriver stuck in the ground that I spotted, and then a wine bottle. But no, after a little more looking in that area, we found a small lock n’ lock. I signed the log book, but there really wasn’t anything worth taking. It’s the find that gives you a feeling of accomplishment. 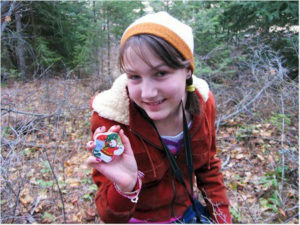 We headed home knowing that we had made a successful geocaching trip. 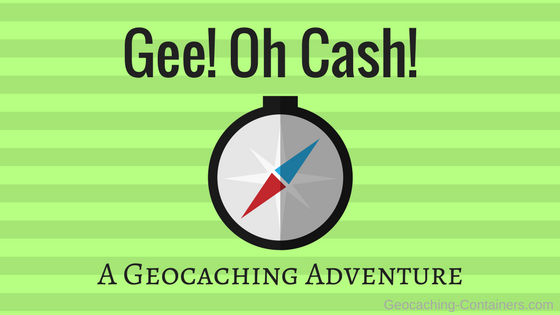 It’s lots of fun, but we only found cache, not cash! 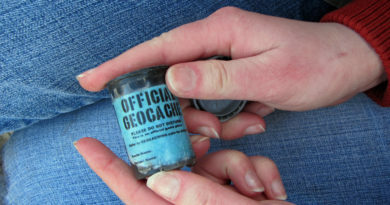 ← Geocaching Souvenirs – What Are They and How to Get Them! 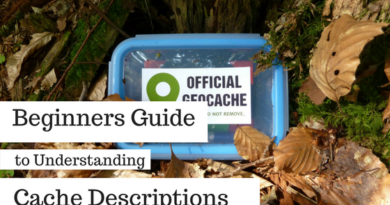 Geocaching Souvenirs – What Are They and How to Get Them! Ammo Can Deluxe – Get it Now! Hide Your Own Cache Kit! Copyright © 2018 Geocaching Containers. All rights reserved.